Watch out, there’s a phono about! However, it’s no point whining, any studio will have a range of unbalanced gear, so we’ve got to make the best of it, and here’s how to do it. But first, lets have an electronics lesson! If you don’t want to wade through all this, fair enough, just skip to the useful bits, here. If not read further to understand why it’s important to wire it up correctly. Do what? Of course there is, it’s on every mains socket etc – what do you mean? Well we use the term “ground” carelessly. It’s meant to represent a constant 0V – it doesn’t matter how much current you dump into it, it stays at 0V, always. Sadly for audio, such a beast does not exist. Every wire, every bit of metal has a resistance or impedance ( high frequency resistance), so as soon as any current flows through the wire or into the ground the voltage changes in tune with the current. I don’t know if you remember doing electrical experiments at school as a kid with a battery and a lamp, but in order for us to send signals from one device to another, current has to flow round a circuit – you can’t just have one wire linking two pieces of gear together, you need a minimum of two wires, a send and a return. The problem with mains powered unbalanced gear is that the return wire is also connected to the mains safety ground, and/or the gear’s metal box. So now the return current can go down the return wire, or it can go through the mains earthing, round your studio and back down the mains wire of the balanced gear. At the same time the ground current from the unbalanced gears internal circuitry, or internal mains transformer can do the same. The nett effect is either an audible hum loop, or a variably audible RFI loop. Balancing is a technique to move analogue signals between devices with the minimum corruption to the analogue signal. In a nutshell, you generate two copies of the same signal, out of phase to each other (hot and cold phases -one goes up as the other goes down), and present these two signals plus a safety ground to a 3 pin connector. You join this connector to a mating connector on the receiving piece of gear with special cable that twists the hot and cold phases together, and shields both phases with a continuous shield of wire that is connected to the chassis/ safety ground of both pieces of gear. On the receiver you use a special amplifier circuit that mathematically subtracts the cold phase signal from the hot phase, and sends the output to the rest of the gear. If any noise get onto the signals, because of the twisted wires and equal loads for hot and cold phases, the noise gets added equally to the hot and cold phase. So when the two phases are subtracted, the noise is also subtracted, and in the case of hum, mostly eliminated. This is like balancing, but the cold phase doesn’t have any signal on it, it’s just the ground reference for the hot phase signal, fed with the same impedance. However, when fed into a balanced input, the noise is again subtracted or eliminated like a balanced signal. Balanced inputs are essentially all the same, but balanced outputs are either floating or hard balanced. If they are floating, you can short one phase to ground, and the other phase just compensates, providing a perfect unbalanced signal. The most pefect floating output is a transformer, most gear has electronic floating outputs that work in a similar if dodgier way. Hard balanced outputs cannot be shorted to ground, however each phase is referenced to the chassis ( pin 3) ground, so you can treat them as two unbalanced outputs, out of phase with each other. All Crookwood balanced outputs are hard outputs for audio fidelity reasons. You can hear hum, but you can’t hear RF ( cos it starts at about 1MHz), but there is loads of it about -phones, PCs, microwaves, radio signals, the list goes on and on. RF however gets into analogue electronics and messes it about, creating odd background noises, distortions and sometimes audible noise. The shield – outer ground wire of a cable is there to try and prevent RF in the air from getting onto the audio signals in the cable, but how you connect it up, depends on how well you can protect the audio from it’s effects. Do not remove any mains safety earths. Check that nobody has already done this. If so, add them back. Death is permanent, hums can be fixed! We will assume that the balanced gear is powered off the mains, and has a ground connection from it’s case through to mains or safety ground. The unbalanced gear will either be truly floating from ground, or connected to ground by the mains power, or by an external connection. Examples of floating gear are passive things like dynamic or electret mics, battery powered things like phones, or ipads, or mains powered gear with a two pin mains connector, that are not earthed to anything else – plastic case, no other connectors except those going to the balanced gear. Connecting mains floating unbalanced outputs to mains grounded balanced inputs. Connecting mains grounded unbalanced outputs to mains grounded balanced inputs. Connecting floating balanced outputs to floating unbalanced inputs. Connecting hard balanced outputs to floating unbalanced inputs. Connecting floating balanced outputs to mains grounded unbalanced inputs. Connecting hard balanced outputs to mains grounded unbalanced inputs. Always use balanced cable ( two internal wires, a hot wire and cold wire, plus a separate screen). 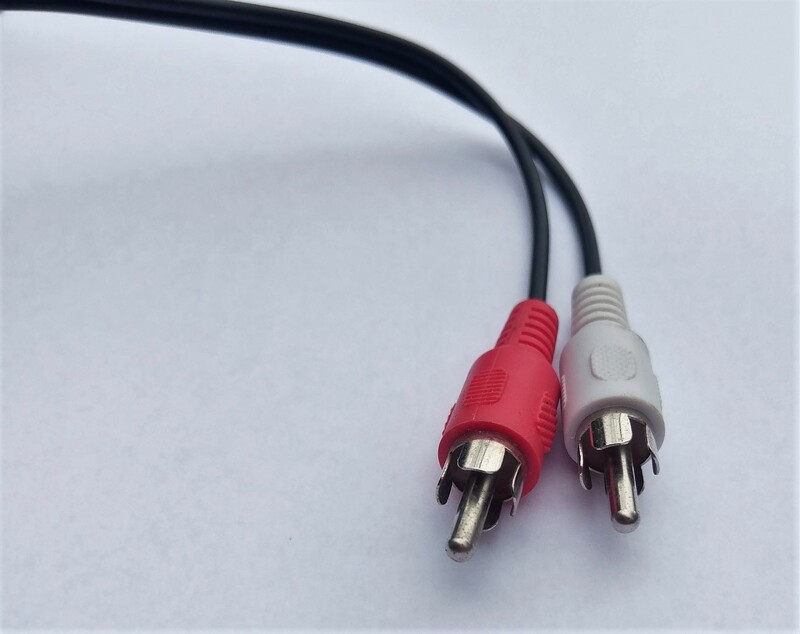 If you’re wiring to a stereo jack, use two balanced cables, not one. At the unbalanced end, always connect the hot wire to the output or input pin, and the cold wire to the ground pin. At the balanced end, connect the hot wire to the hot pin (XLR pin 2), and the cold wire to the cold pin (XLR pin 3) – unless it’s a hard balanced output, in which case connect it to the shield pin (XLR pin 1). The following tells you how to connect the cable screens. At the unbalanced output, do not connect the shield to anything. At the balanced input, connect the screen wire to the screen pin ( XLR pin 1). At the balanced input also link the XLR pin 3 to pin 1. Note: the unbalanced gear will get it’s ground via the cold wire and connection at the mains grounded input. This configuration maximises the RF protection. At the unbalanced output, connect the screen wire to the input ground pin, together with the cold wire. At the balanced input, do not connect the screen wire to anything. Note: the unbalanced gear will get it’s ground via the mains, so you want to separate the ground loop. Connect the screen at the unbalanced gear for maximum RF protection. At the unbalanced input, do not connect the screen wire to anything. At the balanced output, connect the screen wire to the screen pin ( XLR pin 1). At the balanced output, also short together pin 1 and pin 3 together on the output XLR. Note: shorting together pin 1 an 3 together on the floating output forces the output to float properly. At the balanced output, leave XLR pin 3 unattached – the cold wire should be attached to the screen pin ( XLR pin 1). Note: leaving pin 3 floating lets the hard balanced circuit work properly. At the unbalanced input, connect the screen wire to the input ground pin. At the balanced output, do not connect the screen wire to anything. Note: the floating output stage will get it’s ground reference from the unbalanced ground pin. Note: leaving pin 3 floating lets the hard balanced circuit work properly, and by connecting the grounds at both ends, you maximise RF rejection and minimise hum. The grounding and cold wire connections vary depending on the type of gear you connect to and from. While in many cases it may seem to work OK, no matter what you do, the above gives you the maximum RF and hum loop protection.